Voice of the Customer sounds wonderful, and doable, and gee whiz why not do it? And yet, as many have found, implementation takes more than wanting and writing a check. 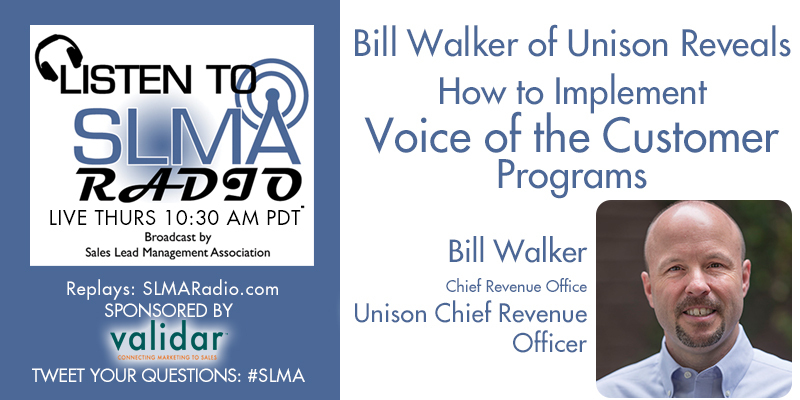 In this program we talk about VOC with Bill Walker, Chief Revenue Officer at Unison. Walker has successfully implemented a VOC process for collecting and implementing direct customer feedback. 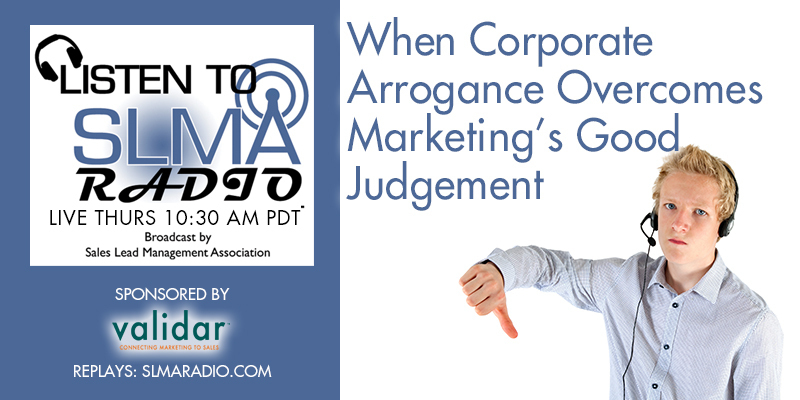 He believes that this is the most important thing you can do as a corporation and that it is more productive than leveraging outside agencies, focus groups, or executive voices. The host in Jim Obermayer. 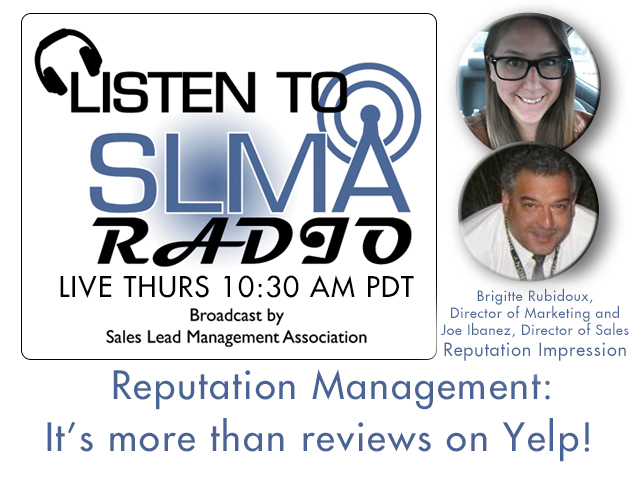 Reputation Management: It’s more than reviews on Yelp! 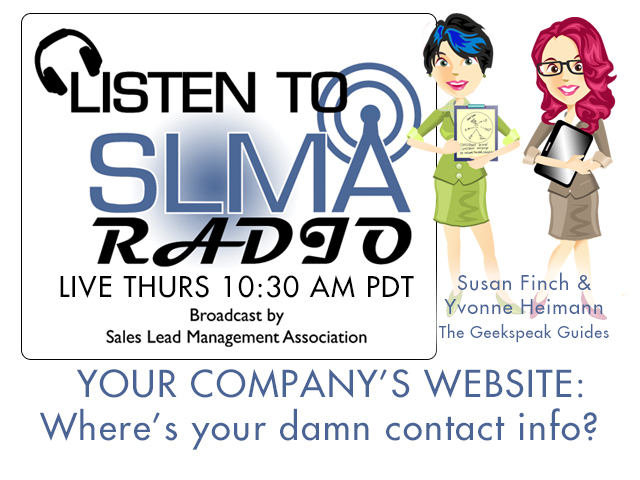 Geekspeak Guides: Where’s your damn contact info on your website? You have a website, perhaps you have a brick and mortar store you want us to fine, perhaps a restaurant. Are your HOURS and link to DIRECTIONS listed on your home page and EVERY PAGE of your site? Make it easy for us to visit you. Are you trying to be too clever with "us" "find" "hello" in your menu rather than CONTACT ? Don't make it hard. Make it easy to CONNECT or CONTACT. Add your form, sure, add your subscription form but add your PHONE, EMAIL and MAILING and/or PHYSICAL address in there, too. I don't want to have to dig around on your site, I don't always have the time to type a contact form submission with TINY keys - sometimes, I just want to CALL you. HOMEWORK : Go check your site/sites to see if that information is readily available. Can a 9 year old find how to reach you? Check your blog and other sites - do they link back to your main site AND have contact info? I can't tell you how annoying it is on blogs where they only way to contact the writer is by making a comment on a post. +Susan Finch - +Susan Finch Solutions Marketing, PR & Web Pro for DECADES! With a background in public relations and advertising since 1986, Susan is a "gentle guide for clients trying new venues online." She engages those skills as she helps create an online presence that will appeal to existing and future clients and/or investors. All these factors are considered before she constructs a suggested plan for clients. It goes way beyond an online presence. After countless calls from business owners that have lost control of their web site,Yvonne put her main focus on customized WordPress sites, helping clients take charge of their online presence.Her refreshing openness will provide you with knowledge and resources in areas like Social Media, Social Media Marketing, Email Marketing, WordPress and Search Engine Optimization. Susan Finch came across an article by Rachel Sprung about the effectiveness of using Twitter for customer service engagement. She approached Rachel about discussing the positives, negatives and to identify which businesses are best served using Twitter for customer service and which most likely need more detailed and complex interfaces since most of what they will ask will far exceed 140 characters. They talked about how sometimes it takes a combo. Twitter for the public response, and then requesting either DM (direct message) or phone,email info for a more detailed solution for customers. 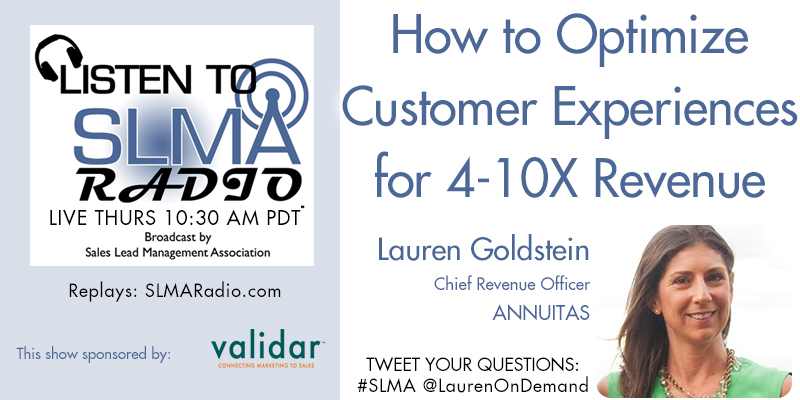 Tune in for steps to take to begin your transition to Twitter for customer service, listening to this expert on events, engagement and effective communication. 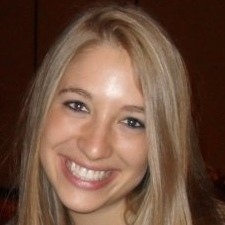 Rachel Sprung is a Marketing Associate, Brand Experiences in the Marketing department at HubSpot. Her responsibilities include managing HubSpot's presence at external events including Dreamforce. Previously, Rachel managed all of the logistics for HubSpot's annual conference INBOUND 2012, formerly known as the HubSpot User Group Summit (HUGS). As part of the Brand & Buzz team, she also works on creating a distinct brand for HubSpot and writing for the inbound marketing blog. In the past, Rachel has worked on the HubSpot speaker program and media relations. Before HubSpot, Rachel was a student at Boston University with a dual degree in public relations and business administration. While at BU, she planned events on campus and around Boston including the nationwide TweetDrive, BU's PRAdvanced conferences and the annual MegaTweetUp. As a member of the Public Relations Student Society of America's National Committee, she oversaw 11 regional conferences throughout the country. In her free time, she enjoys photography, running and learning more about mobile technology. You can find her blogging at Rachel Sprung On Marketing or on Twitter as @RSprung. Women in Business: Leaping into untested waters pays off. Susan Finch interviews Margo Crummack and Sandy Huseby of Crummack Huseby Property Management. These two were brought together from different angles of the property management industry. As the management plan changed at their company, they decided to venture on their own and start it their way. They have matching values, methods and it has proven to be a successful recipe. What makes it unique working for them as women business owners? "I think being a woman is unique in that we really do try to foster a sense of community within our company. We strive to make our employees feel that we not only care about the job they are doing here but, but that we care about them as people. We truly do believe that their success is our success. They go hand in hand so that is a strong focus in our business. Mistakes are always going to be made, not only by our staff but by ourselves as well. We accept that humanity in each other (between Sandy and me), and we extend that to our team members. We understand that how people feel about their job and our commitment to them makes all the difference. We think that is unique to a woman’s perspective about relationships." What makes your approach unique in this industry? "Empathy and focus on interpersonal relationships that we bring to the table. In any business, the people are the challenge. In the homeowner’s association industry, it can be very emotional because you are dealing with people about where they live, what they can and cannot do, why, etc., it requires a strong sense of diplomacy, patience and the ability to see, accept and work with many other points of view. That’s the business side of the “what” of what we do. Once we can get a true “team” developed, it is endless the possibilities of how we can help our customers have success. We strive for relationships built on trust first and then it is followed up by and exceptional team that is well educated and diverse so we can build programs to suit just about any community’s needs or challenges. " Crummack Huseby is a recognized leader in the association management services industry. Company principals Margo Crummack, PCAM, CCAM, and Sandra L. Huseby, PCAM, CCAM, have combined their two decades of experience to assemble a team of professionals that bring a new level of passion and excellence to property management. Combining sound practices with responsive service, board members and homeowners can count on daily operations that are both efficient and customized to meet their unique needs. 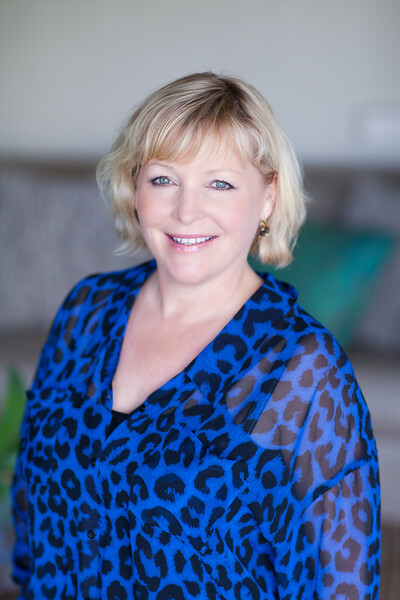 A 24 year veteran in the community association management industry, Margo Crummack’s objective in 1999 was to find a better approach to balancing homeowners’ needs and the requirements of community association management. Applying her property management industry knowledge to build an operation from the ground floor, she fulfilled her goal. Ms. Crummack has been selective in her approach to building the company, choosing employees, including property management consultants with excellent communication and people skills coupled with a high-level of insight into the property management field. 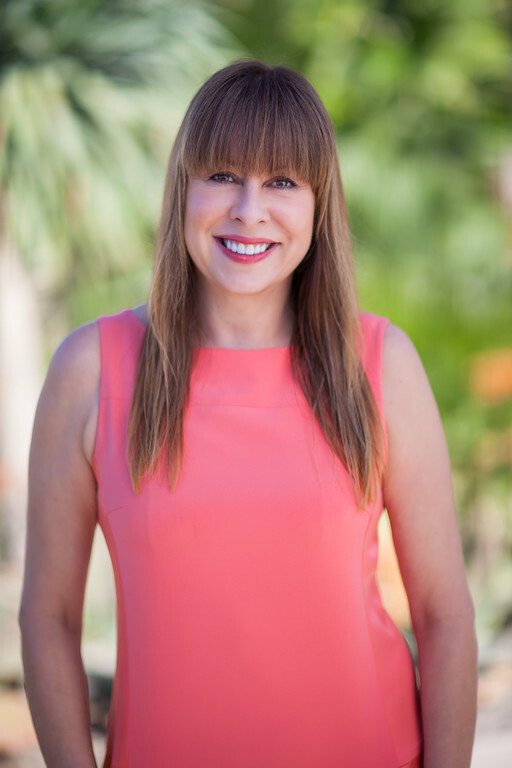 Prior to co-founding Crummack Huseby, she was Vice President of New Project Development for Keystone Pacific Property Management, Inc. A primary area of expertise is working with homebuilders through build-out and transition of new communities to homeowner governance. Sandra Huseby serves as Chief Operating Officer for Crummack Huseby Property Management, Inc. In her executive capacities with the company, Ms. Huseby oversees the operations of the property management organization. Ms. Huseby's goal when launching Crummack Huseby was to develop and implement strategic business plans leading to their substantial growth, streamlined systems and efficiencies. She currently holds the designation of Certified Community Association Manager (CCAM) and the National designation of Professional Community Association Manager (PCAM). Sandra is currently on the Board of Directors for the California Association of Community Managers (CACM) for twelve years, and is currently serving another term through 2014. She is also licensed as a Broker by the California Department of Real Estate.